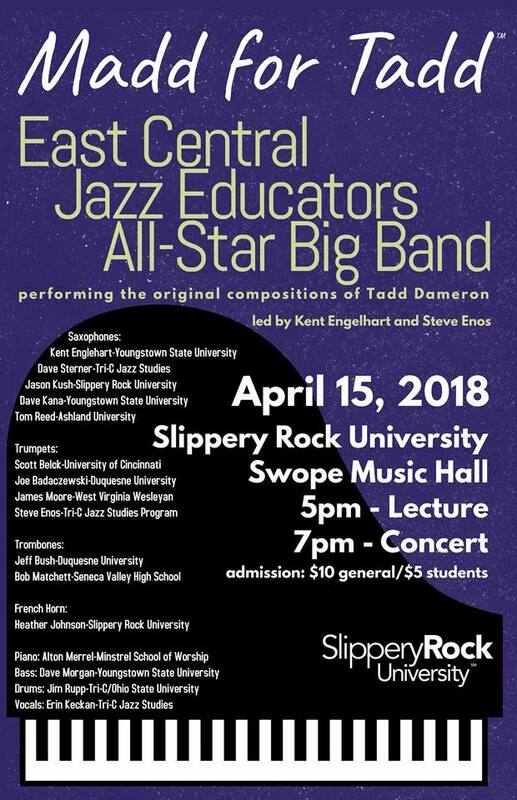 The East Central Jazz Educators All Star Big Band will be at Slippery Rock University on April 15th, 2018. Led by Kent Engelhart and Steve Enos, this group will present a lecture and concert on, primarily, the music of legendary jazz musician Tadd Dameron. Hope to see you there!